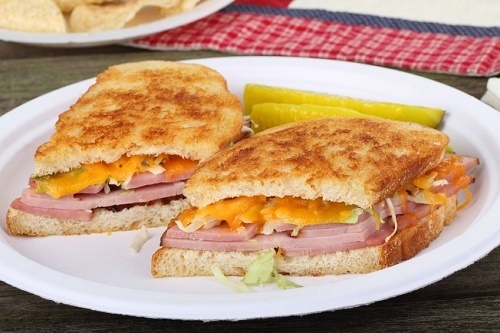 You need sourdough bread, mozzarella and Gruyère cheeses, slices of prosciutto and bread-and-butter pickles to make the Grilled ham, cheese, and pickle sandwich. With mayonnaise applied to both slices of your sandwich, you sprinkle cheese on and top it off with pickles and prosciutto. You grill it in butter on a skillet and dig in. To some, grilled cheese sandwiches are the superstar among foods. There’s even a month dedicated to them – April is supposed to be National Grilled Cheese Sandwich Month. If you’re a fan, you need to do more than to order sandwiches up at restaurants, from time to time; you need to know how to make a winning sandwich or two. The list above should get you started.